If you need to track Children, Pets, Seniors, and Vehicles, we can track anybody or thing every minute of the day or night. Using precision technology our inconspicuous tracking device can accurately pinpoint the location of anything. Our GPS tracking services in Phoenix use state-of-the-art technology to get you the results you need. Who Should Use a GPS Tracker? Real-time GPS tracking service is for anyone requiring information and monitoring of personal belongings or individuals. The professional quality tracker can also be used to create location boundaries, called a geofence. The geofence will provide an alert and start tracking when the device leaves a predetermined boundary. Whatever you need tracked our device can locate it and keep you informed. About the size of a matchbox, this device can be hidden and is almost undetectable. In order to provide the most accurate location, the tracker uses exceptionally precise GPS technology. It employs a highly sensitive system that is functional across a range of frequencies. Using a built-in three-axis accelerometer, the detection of motion is significantly improved and more accurate. The real-time device is able to quickly fix locations whether or not the target is moving. In order to provide the most accurate position, the device sends frequent location updates every five seconds. For long-term GPS tracking the device is installed with a high capacity battery that permits continuous use for up to two weeks. If necessary the battery life can be extended for up to six months. Could I Purchase My Own Tracker Instead? When you purchase your own tracking device you do not get the additional experience of a professional investigator. Our expert team knows the best ways to conceal a tracker and once installed will continually monitor the device’s movement. The device that our professionals use is at the forefront of GPS tracking technology and provides the most accurate location of any device available. Our team of professionals will install the compact tracking device in an inconspicuous place in a vehicle or on a personal item. The device itself will not be discoverable by someone that does not know its exact spot. When activated our experts will monitor and record the locations and movement of the device. If requested, one of our investigators can provide discreet surveillance when the vehicle begins to move. All information gathered from the tracking device will be analyzed and presented to you in an accurate and comprehensive report. 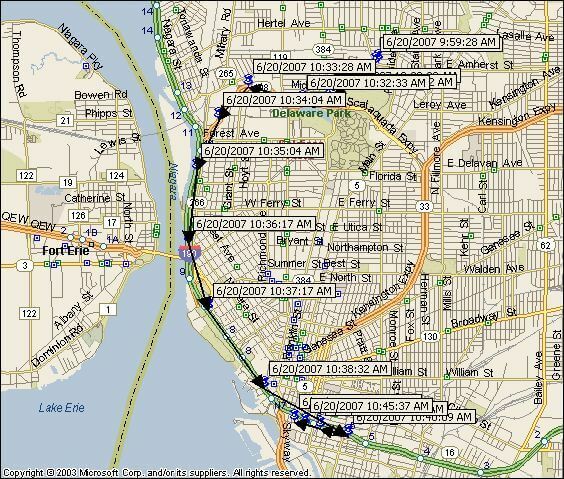 For more information on real-time GPS tracking services in Phoenix and how we can help, contact us today!